Second season, Sisters, Silent Party. The S in Toaru Kagaku no Railgun S signifies a whole lot things for the 2nd season of the popular spin-off, but for me it stands for an S-level anime series. I’m almost embarrassed to admit now, but I had very little interest in covering the 2nd season when it first began to air. The 1st season was good, but it didn’t leave a strong enough impression on me to spark (haha) anticipation for Railgun S. Fast-forward half a year to the present and Railgun S (and Railgun by proxy, I suppose) has easily become one of my favorite series of all time. The setting for this story takes place in a metropolis known as Academy City, where talented young students known as espers live. Since most of you have probably watched the first season, I’ll skip most of the formalities. Though, if you’re joining us from out of nowhere and haven’t seen anything from the franchise, you could actually start here and be fine. However, if you skip the first season, you’ll miss out on some of the character development, but the stories aren’t continuous. 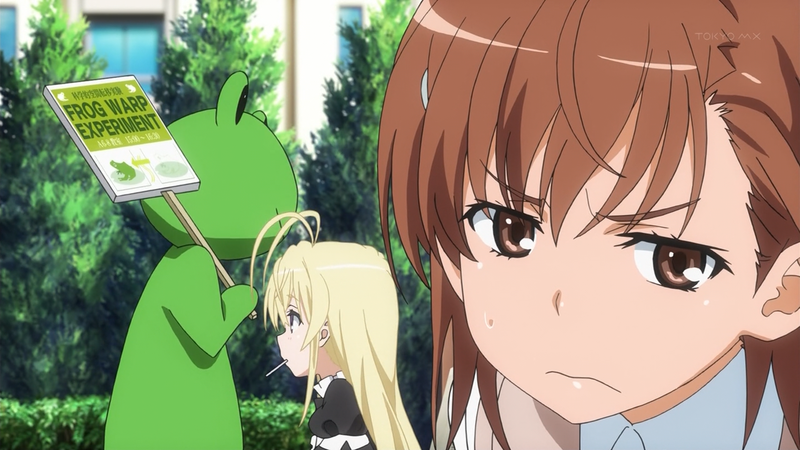 The first two-thirds of Railgun S adapts the Sisters Arc, originally from Toaru Majutsu no Index. The version in this series is so vastly superior to the original that there’s very little reason to back and watch it (assuming you haven’t already). I personally hadn’t watched the Index series before watching Railgun S. That might have been part of why the Sisters Arc grabbed me as hard as it did. That, and I got too attached to the clones. It’s simply one of the best stories I’ve seen executed in a long time. 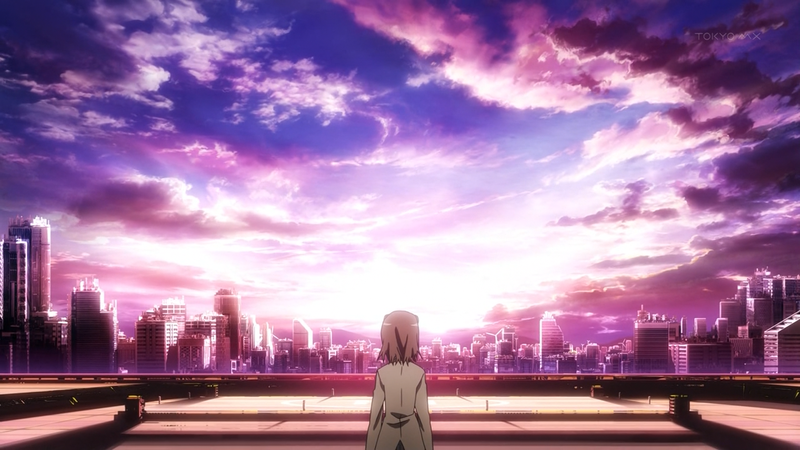 The arc centers around our resident Level 5 Railgun, Mikoto Misaka (CV: Rina Satou), who discovers that her DNA is being used to mass-produce clones that are being used in experiments in hopes of getting the strongest Level 5, a boy known as Accelerator, to the unprecedented Level 6. In these experiments, the clones are more or less slaughtered by Accelerator, a process that must be repeated 20000 times. Misaka, feeling responsible, takes it upon herself to fight both an internal and external war to set things right again. Had the series just been this arc, I think it could have been perfect. However, the following Silent Party Arc is a little more mixed. It begins when Misaka and her friends happen upon a mysterious little girl named Febri, the key to the plans of a secretive group of scientists known as STUDY. In this arc, we get more of the conflict between espers and non-espers, an issue that was heavily focused on in the first season and is something I honestly would like to see more of but in more depth. 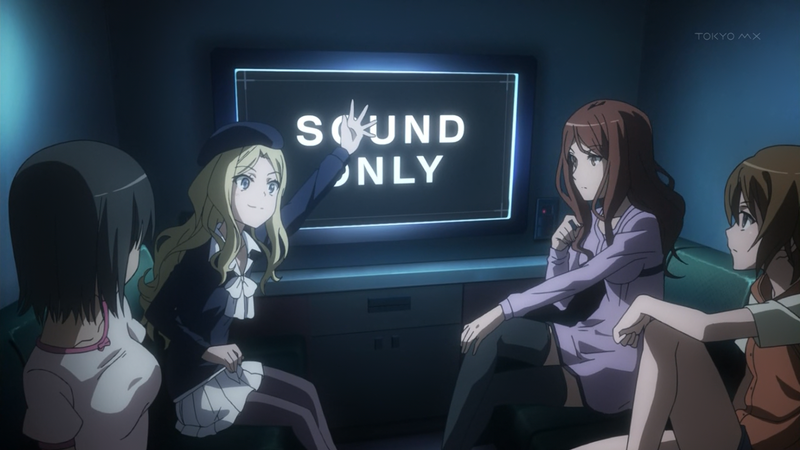 In this way, the Silent Party Arc feels a lot more like “classic” Railgun, serving as a direct foil to the prior arc. 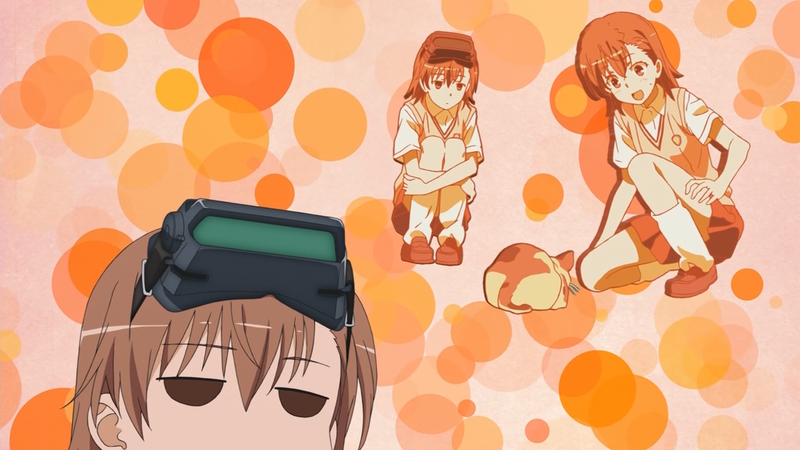 The first two-thirds of the season have themes of hopelessness, consuming darkness, and solitude as Misaka works alone to put an end to the Sisters Project, no matter the cost. However, the Silent Party Arc is more on the bright side. Misaka learns to trust her friends and that she doesn’t have to shoulder every burden on herself. I really like how they do this, rather than just forgetting about everything that happened in the previous arc. Characters grow and themes recur, and that’s the underlying purpose of the Silent Party Arc. Now let’s talk animation because it’s some of the best I’ve seen all year. Sure, we have things like Shingeki no Kyojin and anything done by KyoAni, but Railgun S has the animation quality to play with the big dogs. Everything looks amazingly clear, and the movement in every action scene is incredibly fluid. 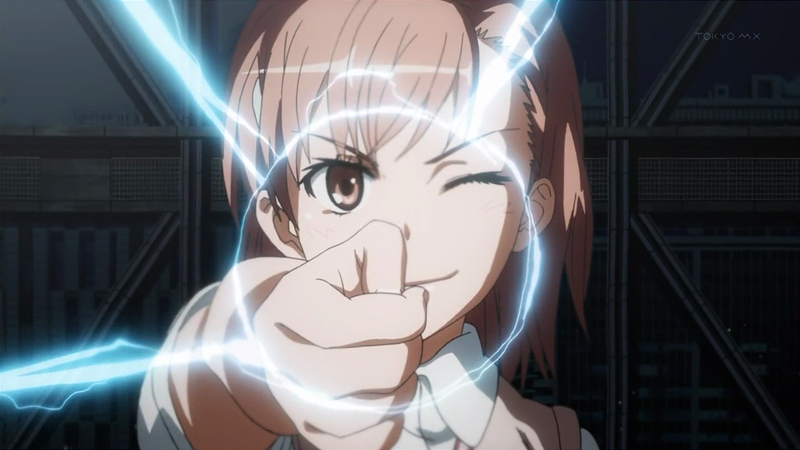 With all of the interesting abilities that are present in this series, ranging from Misaka’s electricity, Accelerator’s ability to change force vectors, Mugino’s particle destabilizer, Frenda’s explosives, and Touma’s punching, there isn’t a lick of detail forgotten in any of these scenes. J.C. Staff, you’ve done good. Where was this for Little Busters. As someone who doesn’t understand Japanese (well, I’m learning now), I feel like it’s difficult to comment on these like writing and voice acting. However, I think I can say with confidence that Railgun S hassome superb voice acting. The range of genuine emotion in every characters lines is unlike anything I’ve heard before, particularly Rina Satou’s Misaka and Accelerator (CV: Nobuhiko Okamoto). Good voice acting in anime is something we often take for granted, and we don’t give it enough credit when we see (hear) it. 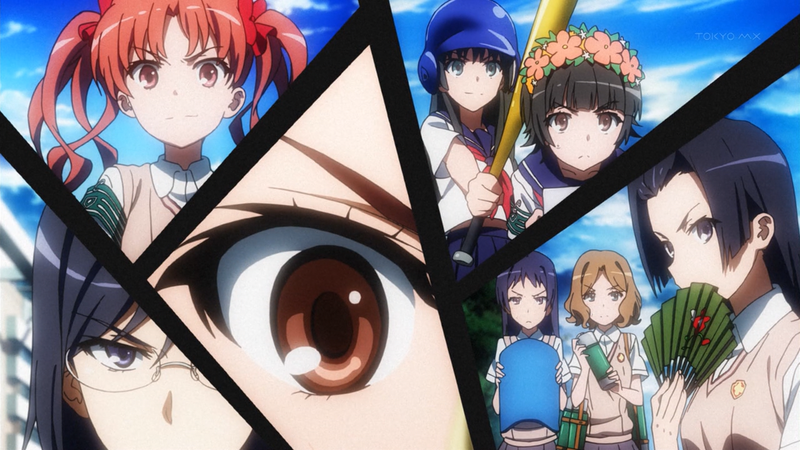 Railgun S has a ton to offer. It has an intriguing metropolitan that I kept referring to Gotham City in my impressions, as they both have dark underbellies and Misaka is pretty much the Batman vigilante in the Sisters Arc. It has an amazing cast of characters, from Misaka and her close group of friends to all of the great bad guys. Seriously, it’s very hard not to like all of the characters in this series because it does a really good job of giving everyone at least a small piece of significance to the story. Even though this is very much a story about Misaka, the interactions between all of the characters are what the series amazing. I don’t know what else I can say without spoiling the story other than “give this a shot.” If you liked either the first season or Index at all, then you’ll love this. I mean, at least I did. Now all I have to do is wait for a season 3 of this, which was hinted at in the last episode. With how popular this franchise is, I can see a third season as being a likely possibility for future. Ridiculously massive Railgun beams are things I feel like I can’t live without anymore.